A man has landed in serious trouble after killing his ex-wife's boyfriend and pouring acid on his body. 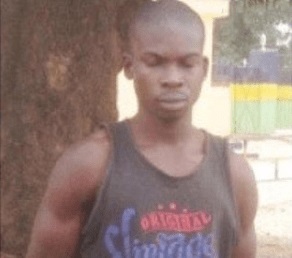 A Nigerian man, Bunde Goja has been arrested by operatives of the Nigeria police in Benue state for killing his ex-wife’s boyfriend in Benue state. Parading the suspect before newsmen, the state Commissioner of Police, Omololu Bishi, said Goja who has three children with his ex wife, allegedly stormed the home of the woman, Kadoon Chia, in the night, forcefully gained entrance into their room and poured acid on her boyfriend, Terdoo Shito, after which he clubbed him to death with an axe wood. The police boss said the ex wife reported the matter to the police. He added that investigations showed that Goja Bunde conspired with one Luper Ishu and others now at large to attack and kill the deceased. When he spoke with newsmen, Goja confessed to the crime. The police says he will be arraigned in court soon.